How to Become a Firefighter in Massachusetts? One of Massachusetts’ most hard working and dedicated civil servants include firefighters. Firefighters are expected to perform the following duties; disaster assistance, search and rescue, hazardous material response, emergency medical service and fire prevention. If you are interested in pursuing a career in this field in Massachusetts then continue reading. The first step is to fill out the application form to appear in the Massachusetts Firefighter Civil Service Exam. This form is available on the State website. The fee for the written examination is $200. If your application gets shortlisted, you will receive a notice to appear for the exam. This notice is sent via email 7-10 days before the test date. The notice will update you regarding details of the written exam, such as the location of the test, time slot, etc. You should stay vigilant and keep checking your spam or junk mail folder as well. The test is divided into three parts; Written Ability Test (WAT), Work Style Questionnaire (WSQ) and Life Experience Survey (LES). The first section, the Written Ability Test, will assess your mental and cognitive abilities such as information ordering, comprehension skills, inductive reasoning, deductive reasoning, ability to identify and solve problems, processing new information, etc. This section will consist of 48 multiple choice questions. The second section, the Work Styles Questionnaire will examine your attitude, values and motivation. In this section, you will be given a number of short statements and you will be required to write down whether you agree or disagree with those statements. The third section, Life Experience Survey (LES) will ask you questions about your professional experience and personal history. This section consists of multiple choice questions. The time limit of this exam is 3 hours and 15 minutes. Once you have cleared the written examination, you will have to appear for the physical exam. The physical ability test is taken at the Hudson Armory in Massachusetts. This test is conducted to assess whether you are able to carry out the physical tasks that are required by the job. Your flexibility, muscular endurance, muscle strength and cardiovascular fitness will be assessed. The test will simulate the conditions and events faced by firefighters. You will be expected to perform a number of physical activities, some of these are explained below. Stair climb: In this simulation exercise, you will be asked to climb a rotating stair case at a specific pace for a specific time period. You will be asked to remain on the rotating stair case for 200 seconds. Hose advance: In this exercise, you will be required to operate a fire hose. You will be asked to pull the heavy hose through obstacles. The total time limit for this task will be 20 minutes. Forcible entry: In this exercise, you will be required to use a heavy sledge hammer (that weighs 12 lbs.) to hit a rubber pad attached on top of a moveable post. This exercise simulates the forcible entry event in which firefighters are required to exert force and break down a door to enter a burning building. The total time for this task will be 13.91 seconds. Search exercise: This exercise simulates the event where firefighters are required to search a smoke filled building. You will be asked to crawl through a 65 feet long tunnel that is filled with darkness and obstacles. The total time limit for this task will be 39 seconds. Rescue through a doorway: This exercise is conducted to simulate the event where firefighters have to carry an unconscious individual out of a burning building. In this exercise, you will be asked to drag a 50 feet dummy (which weighs 125 pounds) along a zigzag course. The total time for this task is 36 seconds. The results of the physical test will be emailed to you within 24 hours of taking the test. You should customize your email settings to permit emails from ‘mass.gov’ so those emails are not sent to the junk folder. You will also have an option of appearing for a PAT preview. This is a practice test that is not scored or timed. This test will allow you to become familiar with the actual physical test. Currently, these practice tests are free of charge. Based upon your written and physical test scores, you will be offered a position at the State fire department. Once you have been hired as a firefighter, you would take a 12 week training course at the Massachusetts Firefighting Academy. This training will cover topics on hazardous materials handling, survival skills, emergency vehicle operations and fire code violations. The following wage estimates of firefighters have been taken from the US Bureau of Labor Statistics and represent statistics as of May 2017. The table shows that the annual mean wage and the mean hourly wage of firefighters in Massachusetts are higher than the national estimates. 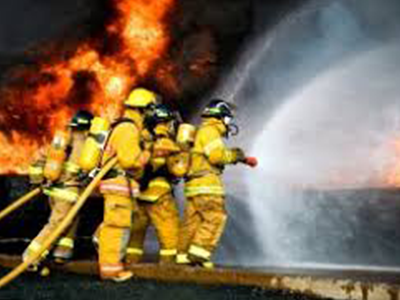 If you think that you would like a physically challenging job that involves saving lives, performing emergency rescue operations, putting out fires, maintaining equipment and operating heavy pumps and hose lines, then you should consider a career in firefighting.